You’re reading novel Dragon-Marked War God Chapter 689 online at LightNovelFree.com. Please use the follow button to get notification about the latest chapter next time when you visit LightNovelFree.com. Use F11 button to read novel in full-screen(PC only). Drop by anytime you want to read free – fast – latest novel. It’s great if you could leave a comment, share your opinion about the new chapters, new novel with others on the internet. We’ll do our best to bring you the finest, latest novel everyday. Enjoy! That monster's howl contained traces of pain and anger. An ordinary dark soul would have immediately been incinerated if the flames had touched it, but not this monster. Its bones were extremely strong, so Jiang Chen's flames couldn't instantly incinerate it. A golden light rushed out of the golden thing between its eyebrows and deflected Jiang Chen's flames. Guo Shao Fei was currently badly shaken. He was already prepared to face death after receiving the monster's deadly strike. However, he didn't expect a fire dragon to suddenly emerge at a critical moment. It drove the monster away, saving him. Guo Shao Fei turned his head and saw that two silhouettes appeared beside him like a flow of light. Those silhouettes were very familiar, a man and a dog, causing his face to reveal a surprised look. The way Guo Shao Fei looked at Jiang Chen was like how one would gaze upon their own family member. It made him very happy that Jiang Chen appeared at this very moment. "Guo Shao Fei, you seem to have suffered some serious injuries, take this pill now." Jiang Chen's palm flipped and he threw out a pill. It was the Saint Pill of Healing that Jiang Chen had gotten earlier and it was extremely useful to Guo Shao Fei now. Guo Shao Fei skipped the formalities. He caught the pill and immediately swallowed it without even looking at it. He dared to put the pill given by Jiang Chen into his mouth without hesitation because he believed that Jiang Chen wouldn't harm him or else he wouldn't even have saved him in the first place. After swallowing the pill, Guo Shao Fei tried to examine Jiang Chen subtly from top to bottom. Then, his facial expression changed. "Junior Jiang, you have already reached the Fourth Grade Combat Emperor after just a few days? Truly amazing! Ya, I have heard that you killed Li Long and Yan Hui, is that true?" Guo Shao Fei eyed Jiang Chen with mixed emotions and expressions, but it was mostly disbelief. Both of them were part of the younger generation with outstanding talents. Despite the fact that Guo Shao Fei was already an Eighth Grade Combat Emperor, he didn't feel that he was as powerful as Jiang Chen. "That's right. They wanted to kill me first, so I killed them. They could only blame themselves for their own actions." Jiang Chen said. The incident of him killing Li Long and Yan Hui had spread all over the Death Mountain. Very few cultivators didn't know of this, so it wasn't a surprise for Guo Shao Fei to know about it. During their conversation, the monster had recovered and its hollowed eyes were fixed on Jiang Chen. Its monstrous aura of death and murderousness were intermixed, surging out of his body as it drifted in the air. "Junior Jiang, this monster is really hard to deal with. It isn't the same as those normal dark souls. There is an unknown thing between its eyebrows that supplies unlimited energy to the dark soul to allow it to keep on attacking. I think even a Ninth Grade Combat Emperor can't to take this monster down." Guo Shao Fei said. His eyes were filled with fear. He felt terrified, especially when he recalled the scene just now. If it wasn't for Jiang Chen's help, he would certainly be dead by now and not even his corpse would be left. He would be reduced to mere food for the monster. The eyes of Jiang Chen and Big Yellow were fixed on the monster. They could feel a very powerful ancient Qi from it. They focused their gaze on the golden thing between its eyebrows. "A very powerful Qi. This is a descendant of the desolate ancients. This beast is unrecognizable anymore. However, the demon soul of this beast was preserved perfectly. No wonder it is stronger than the others." Jiang Chen was taken aback. "It is absolutely a descendant of an ancient beast. Too bad that it is currently a dark soul. Its veins had already disappeared. However, its soul is definitely a rare item. I can sense a slight saint aura from it. This ancient descendant was definitely a Minor Saint when it was still alive." Big Yellow was also taken aback, but much more than Jiang Chen was. His senses towards beasts' bloodlines were sharper than any ordinary human. The giant skeleton in front them was an old desolate ancient descendant. Although its bloodline had already disappeared, its demon soul was still a very precious item. Another shocking thing was that the demon soul contained a saint aura. This beast had to be a Minor Saint beast when it was still alive. "It is able to perfectly preserve its demon soul. This beast is truly horrifying." Jiang Chen nodded. At first, he thought that his trip to this spatial zone had gone in vain. But now, the situation had become more advantageous than he thought. Putting other things aside, this Minor Saint demon soul alone would cost an entire city. Furthermore, he saw the burning desire in Big Yellow's eyes. "Big Yellow, if this demon soul is given to you, how much will it benefit you?" Jiang Chen looked at Big Yellow. He didn't need this demon soul. A demon soul of an ancient descendant was more beneficial for Big Yellow than for himself. 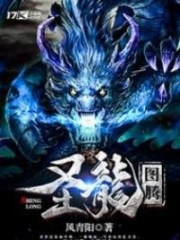 Although Jiang Chen's Dragon Transformation Art could absorb the special abilities from it, the bloodline of this beast might have already disappeared since it had died a long time ago. In addition, Jiang Chen's current special abilities were already good enough for him. The special abilities of ordinary but gifted beasts might not be useful to him. It is an entirely different case for Big Yellow. He possessed the Dragon-Horse Bloodline. This ancient demon soul would be beneficial in enhancing his bloodline further. Big Yellow licked his mouth, with eyes full of light. "I'll directly advance to the Seventh Grade Demon Emperor without a problem!" Big Yellow was very confident. This demon soul might have been here a long time ago, but it was still the soul of a Minor Saint beast. Big Yellow was a Fifth Grade Demon Emperor now and had a strong pool of energy. Absorbing this demon soul might be very difficult to an ordinary human, but Big Yellow was hundred-percent confident that he could absorb all of it. When that time comes, besides his level of strength, his bloodline would also be enhanced. Guo Shao Fei rolled his eyes in disbelief after hearing their conversation. It sounded as if this monster was a prey for them. Are they kidding?! Their opponent was a very powerful monster dark soul. Even him, an Eighth Grade Combat Emperor, couldn't match its power. So, what had made these two individuals so confident? Wasn't this just boasting and giving others a headache? "How can we not get the prey that was brought to our hands? Don't worry brother Guo, although this monster is very strong, I have ways to suppress its techniques." Jiang Chen revealed a confident smile. If this monster was a descendant of the desolate ancients, he would've run after meeting it and wouldn't dare to stay any longer because a powerful being like this was way too strong for him. Even if he had used all his means, he wouldn't have made a mark on this thing. But now, it was merely a dark soul. Even the most powerful dark souls had weaknesses and those weaknesses would make them be completely suppressed by Jiang Chen's flames. The monster gave out another roar. Layers of golden radiance rippled out from its forehead. A powerful anciently desolate aura was released from all over its body. The next moment, it moved very fast as it lunged at Jiang Chen with its terrifying claws, shredding the nearby air. Jiang Chen shouted. Even if he has an advantage due to his flames, he didn't dare to patronize this battle against such a powerful monster. Thus, he instantly struck with the Fire Dragon Seal. The huge fire dragon was like a real dragon that charged at the monster while it roared. The monster showed a somewhat fearful expression when it saw Jiang Chen's Fire Dragon again. Nevertheless, the infuriated monster didn't back away. Its entire body was covered with a golden light as it crashed against the Fire Dragon head on. The land and buildings shook, and a half-collapsed building had totally collapsed. The monster's strength and terrifying power had broken the Fire Dragon. However, the power of the Fire Dragon didn't fade but instead, it turned into a sea of fire surrounding the monster. The monster was too powerful. However, it was completely trapped by the True Dragon Fire and the True Lightning-Dragon Fire, causing its rage and Qi to surge. Apparently, the monster was supported by a Minor Saint demon soul, which couldn't be compared to any ordinary dark souls. A huge energy spurted out from the sea of fire, blowing off all the fire and causing a big pit to be created on the ground. The buildings in this area were completely destroyed. The monster was carrying flames on its body as it charged again to Jiang Chen and the rest. The monster was very tough. With the help of the demon soul, its power was unpredictable, but Jiang Chen and Guo Shao Fei had already seen through its weakness. Regardless of how strong it was, it's still vulnerable when it met with fire, which would suppress all of its combat power. "Big Yellow, brother Guo, kill it now!" Jiang Chen shouted as a divine sword appeared in his hand. He held the Heavenly Saint Sword, then he turned into a flow of light and slashed at the monster. Guo Shao Fei didn't delay his response. He had been gritting his teeth in front of this monster. Now that it was suppressed by Jiang Chen's flames, it would be the right time to eliminate it once and for all. Big Yellow didn't move, but the dragon horns on his head released electric sparks, causing the air to look slightly colourful. Big Yellow was very serious this time. He wanted to unleash the special abilities that he had never used. The demon soul of the desolate ancients' descendant really attracted him. It had made him want to kill it at all cost. The monster was staring at Jiang Chen's flames while fighting both Jiang Chen and Guo Shao Fei. They were going to destroy this place if their intense battle continues. However, it was not clear who would get the upper-hand. The monster was unable to unleash even half of its combat strength, but it was still able to fight evenly against Jiang Chen and Guo Shao Fei. It was obvious how scary this monster was when it was still alive. Of course, it was mostly because it was supported by its demon soul, making the demon soul more valuable. You're reading novel Dragon-Marked War God Chapter 689 online at LightNovelFree.com. You can use the follow function to bookmark your favorite novel ( Only for registered users ). If you find any errors ( broken links, can't load photos, etc.. ), Please let us know so we can fix it as soon as possible. And when you start a conversation or debate about a certain topic with other people, please do not offend them just because you don't like their opinions. You're reading Dragon-Marked War God Chapter 689. This novel has been translated by Updating. 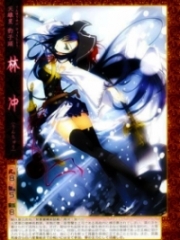 Author: Su Yue Xi already has 12135 views. Current Time is Apr-22-2019 05:12:11 AM.